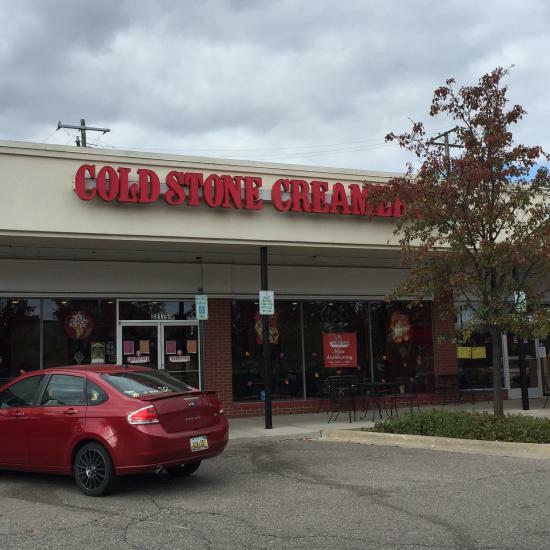 There aren't enough food, service, value or atmosphere ratings for Cold Stone Creamery, Michigan yet. Be one of the first to write a review! the ice cream is good especially due to the add in's but, I feel places like this and menchee's are ridiculously priced. It's ice cream after all. Love the ice cream, and energy of the workers. Fun place to get ice cream. More than a dairy queen, but lots of options. Great spot to stop on a hot day. They have fast and friendly service. Always have all the ingredients. It's a summer treat; bring the kids or, as we do, our 91-year-old mother. Everyone who goes there seems nice! If you love ice cream on a hot summer day, here's a place to stop and enjoy. This is a create your own experience, but with ice cream! There are many different flavors and many different things you can add to it. There's also both sunny and shady spots to sit outside, and adequate parking. One of the workers was a little unique and not quite attentive to the busy customers trying to get served, but the other workers made up for her. Delicious! Get quick answers from Cold Stone Creamery staff and past visitors.